Aladdin has started its run in London almost 2 years ago, so I managed to see it only after a while. But my feeling is that is a musical so popular that – like The Lion King – we will be able to see it for long time. I don’t know why I have been waited so long. Maybe because it is one of my favourite Disney’s movies or maybe because the Regina Belle + Peabo Bryson’s version of “A whole new world” is so perfect that in my mind nobody could do so well. Anyway, I could not be happier to have seen this massive and very entertaining Disney’s production. Aladdin is a blast. No doubts. It is a tornado of colours, jokes, singing and dancing that it is impossible not to like – adults and children. Trevor Dion Nicholas as the genie is so much fun. 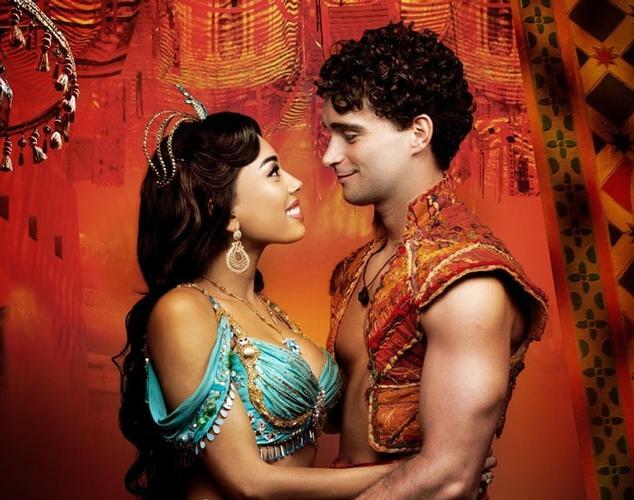 But I was really surprised by the chemistry between Jade Ewen (Jasmine) and Matthew Croke (Aladdin). Matthew, I could not think to a better Aladdin, and his acting and singing was just perfect, and the same was for Jade. This is the typical show that will let you leave the theatre happy with that sense of “magic” that only Disney can give us.